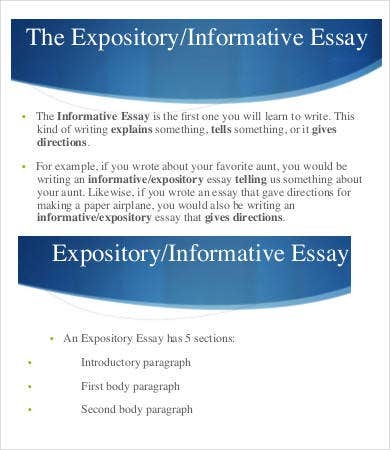 Informative essays are informational write-ups that deal with conveying information to its readers. All informative essays should be nonfiction and must be based with facts and existing realities. 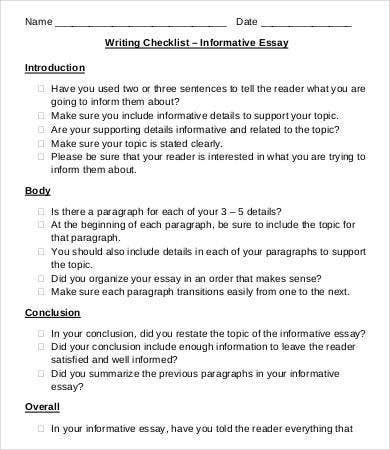 You may take a look at our Essay Outline Template to see the structures that you may use in writing informative essays and other kinds of pieces. An informative essay is written in an organized manner and conveys both the negative and positive sides of issues. It can also get supporting data from two sources that oppose each other’s idea. Graphs and other measuring tools may be used if necessary to provide a real and quantifiable assessment of the situation. What Consists an Informative Essay? why such an event happened. An informative essay can be used for a lot of purposes as there are a lot of things that are happening in our daily lives. Writing an informative essay means that a writer must be able to relay specific viewpoints that can be of two opposing sides. He or she should remember that only the facts that he or she has gathered should be presented in the writing and not his or her opinion about them. 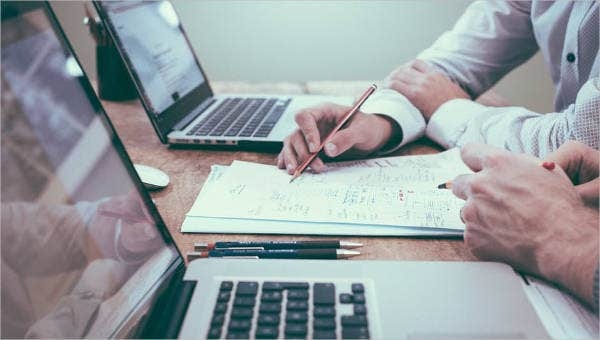 One of the main purposes of an informative essay is to let people be educated on current issues so that they can think of specific course of actions depending on how they think the issue has to be resolved. Remember that an informative essay do not persuade the people to believe on something. It allows people to be aware of current issues. 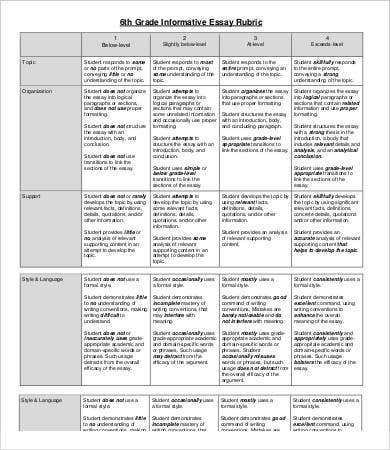 Aside from our informative essay samples, we also have samples of an Argumentative Essay samples available for download. 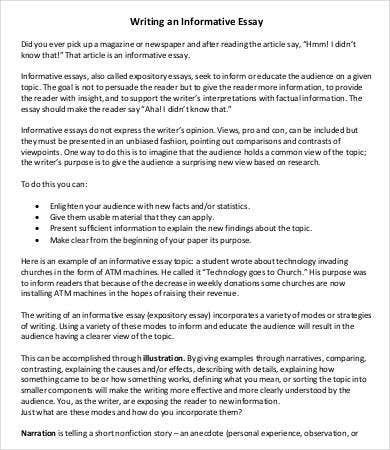 Make sure that the topic that you are presenting is at the beginning or included in the first paragraph of your article. It helps the viewers to know the main details of what they are reading about. 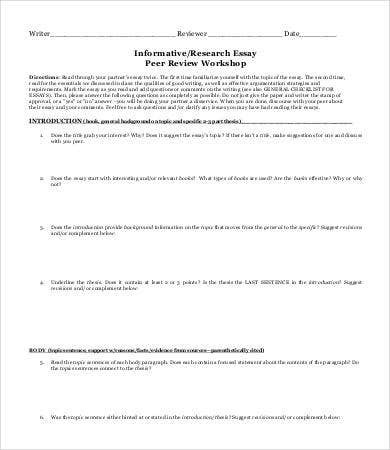 The body of your informative essays must contain the main information and other supporting information about the topic that you are writing. It needs to cover all the areas that readers need. 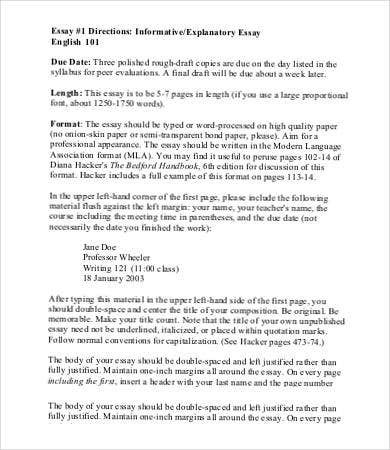 The conclusion is also important as it summarizes on why the essay has been written and why it is essential for the readers to have knowledge on such information. An informative essay is a descriptive writing so make sure that opinions are either limited or out of the context of your writing. 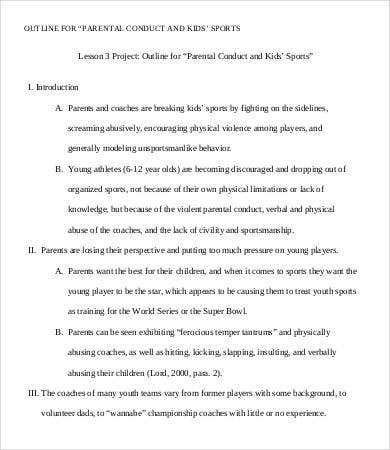 Just lay down all the basic information and an informative essay can already serve its functions. 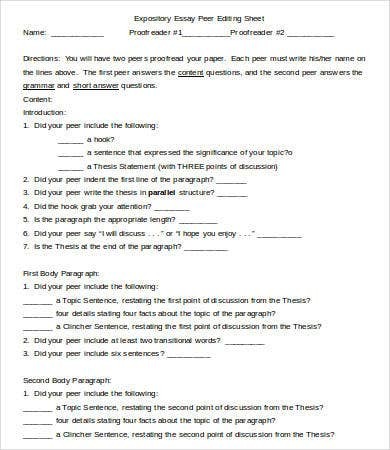 You may also take a look at our Scholarship Essay should you believe that you already know a lot about informative essays.